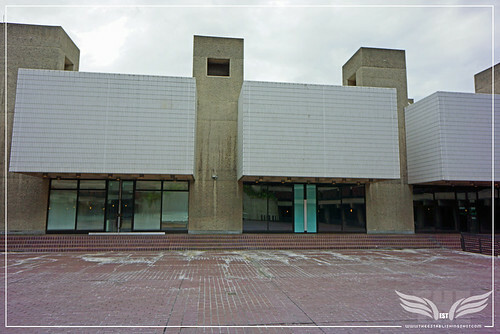 If you read The Establishing Shot you will know that a couple of weeks ago I visited the Designing 007 -Fifty Years Of Bond Style exhibition at the Barbican Centre. 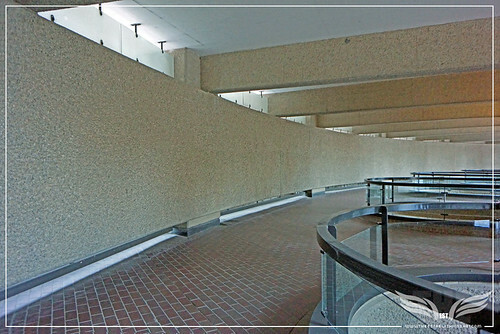 Well there would be few places in London that could be a better home to this great little exhibit than The Barbican. As not only is The Barbican one of the world's leading arts centres but after art imitating life and during the Pierce Brosnan era when James Bond’s MI6 was located on the Thames in Vauxhall, however in 2008’s Quantum Of Solace in line with the reinvigorated Bond returning to his darker, colder war roots MI6 was seemingly relocated to the more appropriate and iconic brutalist stylings of The Barbican Estate before being relocated back to Vauxhall for Skyfall. After James Bond (Daniel Craig) is pulled into a meeting with Edmund Slate (Neil Jackson) in Port au Prince, Haiti (shot in Colon, Panama) he follows Camille Montes (Olga Kurylenko) to a dock land area. While on his recently acquired motorcycle we cut to M (Judi Dench) & Bill Tanner (Rory Kinnear) outside MI6 in London who trace James Bond and call him in Port au Prince. 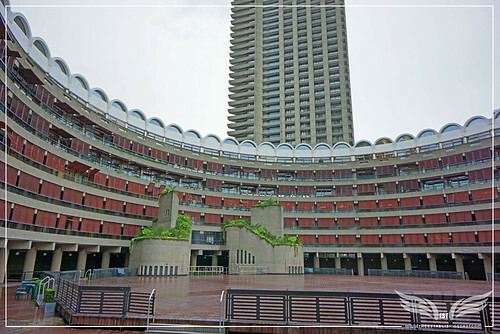 The Establishing Shot: 007 Quantum Of Solace MI6 Film Location - The Barbican, Frobisher Crescent, London, a photo by Craig Grobler on Flickr. We then cut between James Bond in Port au Prince and M, Tanner outside MI6 in London while Bond reports back about his progress with Mr. Slate over the phone. 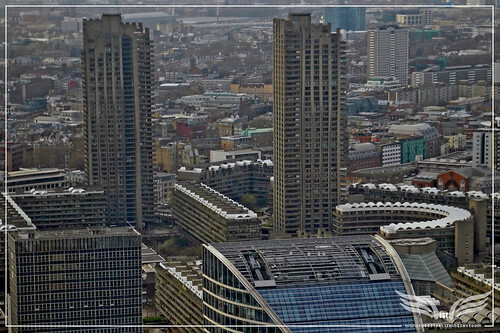 The Establishing Shot: 007 Quantum Of Solace MI6 Film Location - The Barbican from the air, London, a photo by Craig Grobler on Flickr. Of course it is never mentioned in Quantum of Solace that this MI6 and it could conceivably be a different Government research department that M and Tanner are visiting but it is unlikely that this security conscious duo would cross London for such a short visit? Perhaps only once the film is adapted to book format or novelised will we know. 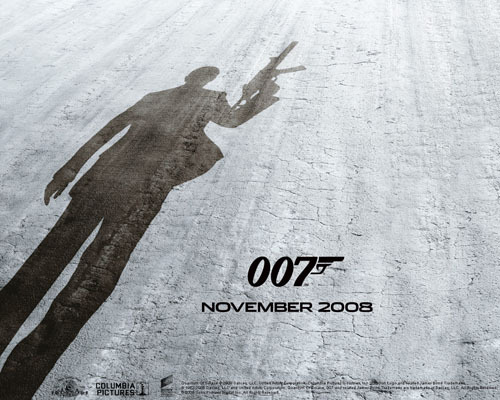 But as a writers strike prevented Paul Haggis, Neal Purvis and Robert Wade from completing the screenplay and the story was reportedly written by non other than Daniel Craig himself (much to his chagrin) so it is unlikely that we will see a proper adaptation anytime soon. 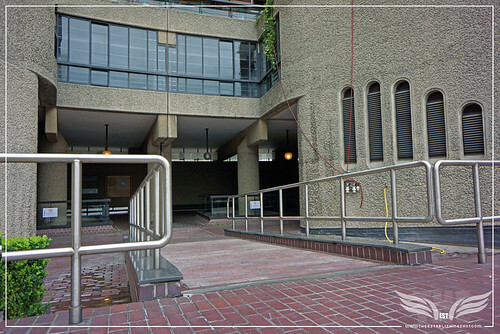 The Barbican has features in a number of TV shows and films like Guy Ritchie's RocknRolla, Tony Scott’s The Hunger and in Paul McGuigan’s Gangster No. 1 Gangster 55 (Malcolm McDowell / Paul Bettany) covets chief Freddie Mays (David Thewlis) apartment atop The Barbican.